Over 100 built-in functions for business, finance, mathematics, and statistics. The HP 10bII+ calculator can easily figure loan payments, interest rates, amortization, discounted cash flow analysis, and more. Dedicated keys provide fast access to common financial and statistical functions. Maintains keystrokes of the HP 10bII+ calculator while adding 10 types of financial and statistical calculations. Designed with powerful finance, business and statistical operations. Store up to 22 numbers in memory registers for later use. Get immediate results with no waiting for complex calculations. View answers with up to 12 digits of accuracy. 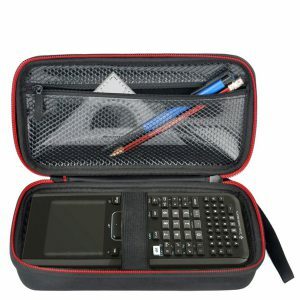 HP 10bII+ calculator is an smart choice for exams: SAT, PSAT/NMSQT, and College Board AP (Advanced Placement) Tests. Suitable for multiple courses - from introductory business, finance, accounting, real estate, and banking to mathematics, science and statistics. HP’s legendary quality and reliability offer you peace of mind. First calculator in its class with probability distributions functions: a topic required in many introductory statistics classes. A large 12 character display. Enough memory to store an initial cash flow and 14 cash flow groups, with 99 cash flows per group. Time Value of Money: Loans savings, leases, and amortization schedules. Interest Conversion: Nominal and effective rates. Cash flows: Net percent value and internal rate of return. Business Percentages: Percent change, markup, and margin calculations. Statistics: Mean, standard deviation, correlation coefficient, and linear regression forecasting, plus other statistical calculations. Auto-increment capability for amortization schedules. Labels for amortization and cash flows. Finance and Econ Major Friendly! My son is majoring in both Finance and Economics in college. The school required him to pass an Excel test since a large number of the required calculations require the use of Excel's formulas (as a recent MBA grad, I can attest to this!). I purchased this calculator as a gift for him hoping it would help him when Excel was not always available. He has stated that while there are items, mostly in Economics, which Excel is still needed this calculator has made his life A LOT easier since he is not hunting Excel for formulas... the calculator has the formulas programmed and easily accessible. 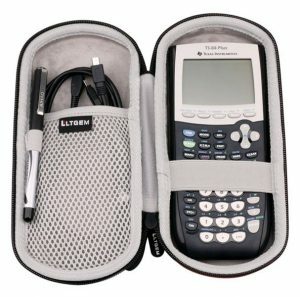 Great replacement for earlier model HP handheld calculators. I've had a 12c, a 17b and similar vintage HP calculators over the last 34 years, used in the mortgage business . This is an amazing bargain, is fast and includes many functions I'll likely never need. Highly rated. Quality Calculator for quality price. I debated between getting the HP or a Texas Instruments model, but went with the HP and am not disappointed. The keys give the most satisfying clicks I've ever used on a calculator. The overall design is super lightweight and modern. There aren't a ton of professors I have dealt with that force you to use financial calculators but when I came across one, my first purchase was this... I realized I made a mistake. The basic Texas instruments financial calculator is FAR easier to use. Thus has a little learning curve. Now, once you get it down thus calculator is able to do much more. If you don't need all of the extra crap though, skip this, get the TI. This is a great calculator! I have never purchased a HP brand calculator before but this is the one that my professor requested. Now I see why it was my professor's calculator of choice! It is sturdy and dependable. It is neither too big or too small. It has every function I need as an accountant. It really has no negatives and was affordable. I can find nothing wrong with this calculator and I would now consider HP as a solid choice for calculators from now on. My daughter is in college and is studying accounting. She is using another brand of calculator. She has checked mu HP out and even she prefers my HP. Just what I needed at a good price. The package it came with was packed nicely and I saved it for future references if I need to get it fixed or something since it is warranty for two years. I'm still getting use to this calculator since I got it for my finance course. I think the functions of this calculator is superb because you can do time value money without the chart and it saves a lot of handwriting. 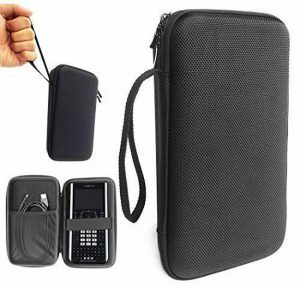 Overall just what I was looking for and it have a leather-like pouch included to put the calculator in. Teach Financial Management (30 years): Using HP 10BII+ calculator for 20 Years. I have tried other calculators (HP12C, fine if you need reverse Polish; TI BA, with difficult inputs and needless keys for solution) and this one is easily the best for the price! I love its ease of use, and I find it easiest to explain! i'm a business major at uga, and i needed a financial calculator for finance class, but i couldn't easily/intuitively figure out how this one works. i ended up returning it and getting a different one. after i talked to other students in my class, they said that they too avoided this one like the plague. but i'm sure if i spent time learning all about its functions, i could have been a useful tool! but i just didn't have time to do that, and i'm not a finance major, so i didn't need to nor did it interest me. moreover, if you're just buying this for class, get an easier one! unless it's the exact kind your professor uses! 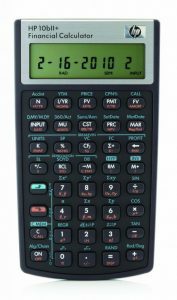 I purchased this hp financial calculator for a course that I am taking at the American College, called HS328 - Investments. 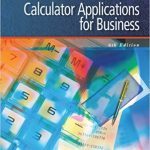 This calculator is very helpful in following the complex financial calculations that are covered in that course.